Save money on your auto glass replacement! Joe’s Glass Co provides auto glass replacement service to Bellevue. We provide excellent quality glass repair and replacement with same day service, in most cases. Located in Everett Washington, Joe’s Glass Co has been servicing Bellevue for over 15 years with superior service and affordable prices. Our installers will drive out to Bellevue at your work or home and replace your auto glass today! We are a preferred auto glass supplier of all insurance companies and glass networks. 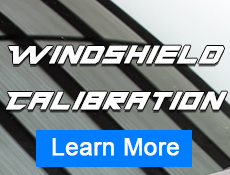 We ensure you get the OEM equivalent replacement glass including any features like heated wiper park, electrochromic mirror, heads up display, or rain sensors. Our professional installer have experience with all different make and models of glass or vehicle and each installer is fully trained to treat every customers car like their own. At Joe’s Glass Co, customer satisfaction is our primary focus and with 15 years of satisfied customers, you can feel secure using Joe’s Glass Co for your auto glass replacement. We cater to your needs with free mobile service directly to your home or office at a time that works within your busy schedule. The things that are important to you are important to us at Joe’s Glass Co.